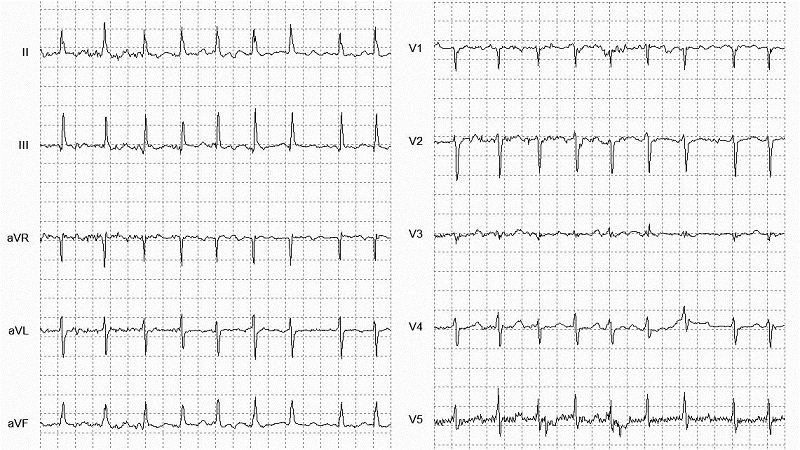 An irregularly irregular rhythm in which P waves are NOT present. R-R intervals are variable. Absence of a clear isoelectric baseline. QRS complexes are often < 120 ms unless there is a pre-existing bundle branch block, accessory pathway, or rate related aberrant conduction. Fibrillatory “f”waves are often present and can be either fine (amplitude < 0.5mm) or coarse (amplitude >0.5mm). Be aware that coarse “f” waves can sometimes mimic p-waves and be misinterpreted. 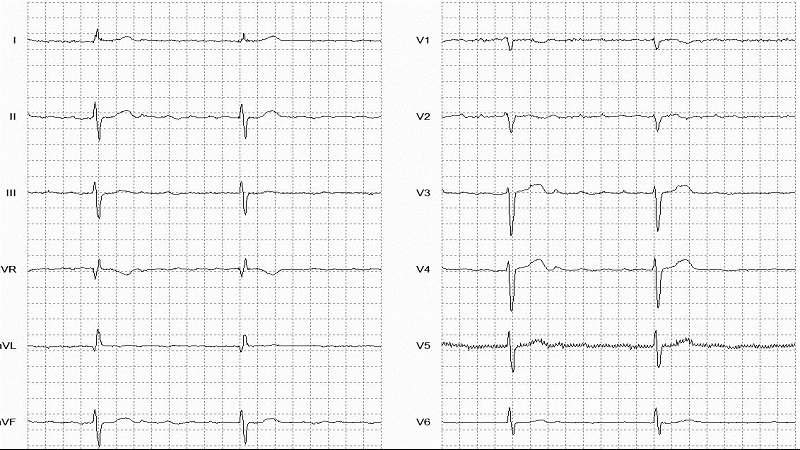 Atrial fibrillation with slow ventricular response (33 BPM). 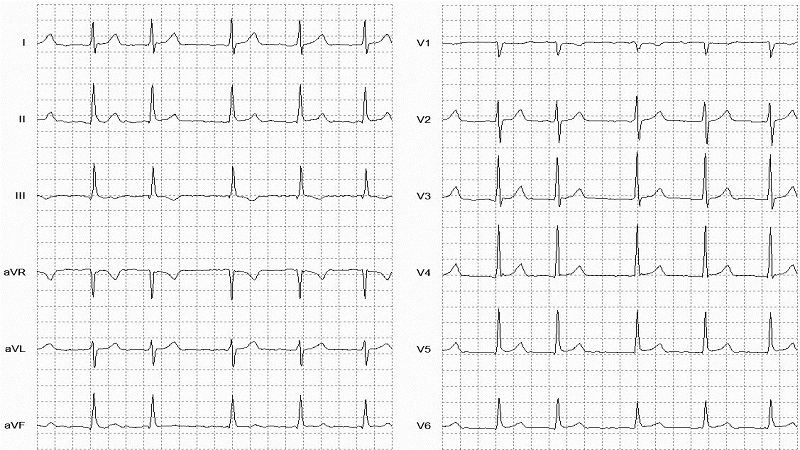 Atrial fibrillation with fast ventricular response (148 BPM).